We live in the golden age of spoilers. As soon as a major movie is announced, superfans across the internet spring into action to reveal every casting rumor, shooting location and plot point. And that’s actually the benevolent scenario. Far scarier are situations such as the Sony hack last winter that made that studio’s secrets public. It’s no surprise then that Hollywood is more paranoid than ever when protecting their intellectual property. A recent New York Times article points out that studios have had to evolve beyond watermarks and papercraft to thwart evildoers. 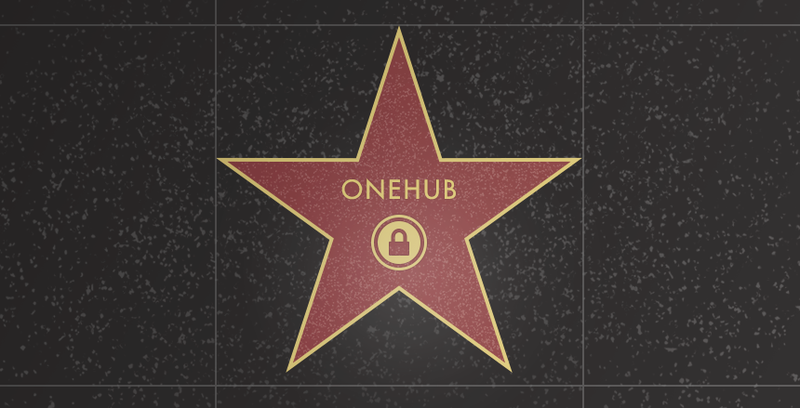 Studios, production houses or even screenwriters themselves looking to secure their stories need look no further than Onehub, which offers a host of easy-to-use and effective security measures. With role-based permissions, you determine the level of access you want to give someone. For example, make someone a Viewer and they can only look at the file — not download it. Additionally, you can give people Printer only permissions and enable automatic watermarking. The user will not be able to download the file and when they print it out their email address, the date and “Confidential” will be plastered across every page in transparent red letters. Make users accept agreements before they can interact with the content you store on Onehub. You can customize this agreement with your own language so it spells exactly what is required of each user accessing your files. Movies go through a ton of changes as they move from the page to the screen. Our activity tracker can notify you when someone accesses your content, views a preview, downloads a file or prints a document (which, remember, can be watermarked!). BONUS: Onehub also provides version control, so you can keep track of your script as it goes through changes. We offer bank-level encryption on all your files both in transit and at rest. When contracting out work, store your files in a data room for enhanced protection. Data rooms let you share the same content with multiple bidders — without them ever learning about each other. Because of Onehub’s straightforward pricing and no long-term lockups, you can silo projects in completely separate accounts. Run them for the length of production and ramp up or down as needed. As long as there are hit movies, there will be hackers interested in spilling their secrets. With Onehub, studios can take additional steps to keep all their hard work safe. This entry was posted in Opinion and tagged Hollywood, screenwriting, Security by Chris Albrecht. Bookmark the permalink. What Information is Best for Virtual Data Rooms?